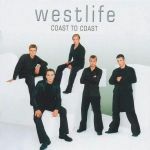 Eines der besten Albums von Westlife!!!! "Nicht mehr meine Musik" kann ich überhaupt nicht nachvollziehen, so sehr verändert sich doch kein Mensch. ;) Hübscher Bubbi-Pop ohne Ecken und Kanten, zur rechten Zeit absolut hörenswert. Ein paar Highlights gibt es (zum Beispiel "What Makes A Man" oder "Close"). Irre erfolgreich in ihrer Heimat und UK. The first half of the album is great but then it tails off to quite a dull boring affair.<br><br>Best songs are basically all the singles released.<br><br>The problem with Westlife is they used the same Swedish writers/producers as BSB/N Sync. <br>However these songs are good but feel like the cast offs that didn't make the US groups albums. <br><br>2nd UK top 10 album. 33 weeks in the UK top 100. 234,767 sold while at #1. Their first UK#1 album. <br><br>10 weeks UK top 10. UK#1 (1 week).<br>Scotland#1 (1 week).<br>13 weeks Irish top 10. Ireland#1 (1 week).<br>Denmark#8.<br>Portugal#9.<br>Iceland#11.<br>Italy#46. <br><br>6 weeks Euro top 10. 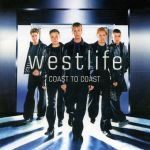 European Hot 100#9.<br><br>Japan#21.<br><br>Brazil#4.<br><br>World Chart Year End (2000): #49.<br><br>1.8 Million copies sold in the UK.<br><br>The biggest selling boyband album of 2000 in the UK.<br><br>Seventh biggest selling boyband record ever in the UK. Reicht noch für eine knappe 4.